TOE (Theory of Everything) is less about “theory” and more about “everything”. 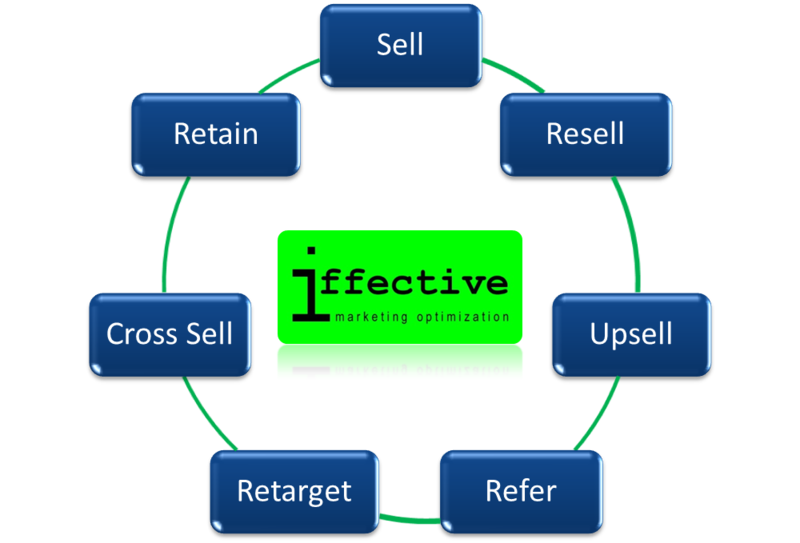 There are seven basic actions you can take: you can sell and resell to your customers; you can try to retain them, have them refer customers to you, you can cross-sell to them and, naturally, upsell them. And to be successful you must do all of it at the same time. Today, a single strategy probably won’t work. Wildly different consumer groups might need different strategies. And you strategies will change over time as your brand becomes better known and bigger. Iffective’s Seven Segment Wheel keeps your business focused and your actions organized.